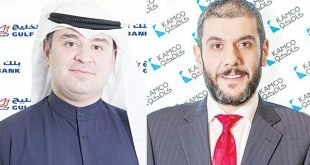 KUWAIT CITY, March 25: KAMCO Investment Company, a leading investment company with one of the largest AUMs in the region, held its Annual General Meeting (AGM) at the Chairman’s Club in KIPCO Tower. The meeting provided shareholders with direct information on the Company’s performance, and gave attendees the opportunity to take part in discussion with the executive management and vote on the resolutions submitted for approval by the Board of Directors. 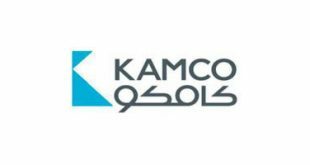 KAMCO’s AGM for the year ending Dec 31, 2017 was held alongside its Annual Shafafiyah (transparency) Investor’s Forum 2018 dedicated to supporting ethical and responsible decision making, while safeguarding the integrity of financial reporting. In addition to meeting statutory obligations and the formalizing of board resolutions, the AGM and the Shafafiyah Forum are pre-eminent events at KAMCO, serving as platforms to review the Company’s financial and operational performance, while allowing for focused discussion and member engagement on the future direction of the Company. The AGM was an opportunity to review KAMCO’s 2020 strategy in light of key market movements in 2017, fiscal year highlights and financial performance, including the Company’s recent improvements made to its digital offerings and in-house operational efficiencies that have enhanced KAMCO’s range of investment solutions and client offerings. Shareholders approved all proposed resolutions including the distribution of 5 percent cash dividends at 5 fils per share for the fiscal year ending in Dec 31, 2017. During the AGM, KAMCO’s Vice Chairman, Ms. Entisar Al-Suwaidi, reflected on both macroeconomic and microscale events that moved markets and shaped investor sentiments and activity at the local, regional and international levels throughout 2017. Critical events included US tax reform expected to spur momentum for economic growth, the advancement of BREXIT negotiations and its implications on both UK and EU financial markets, rebalancing of OPEC and non-OPEC oil production, geopolitical instability, and the upgraded status Kuwait achieved in 2017 entering the FTSE Russell Emerging Markets. Chief Executive Officer of KAMCO, Faisal Mansour Sarkhou presented the Company’s 2017 performance at the Shafafiyah Forum, and reflected on the Company’s strategic performance over the year stating, “In an ever- changing economic landscape, our Company has maintained sustainable returns over the long-term by leveraging our market positioning as a local leader, with a solid regional network, and a global outlook. This approach is what gave us the flexibility to seize opportunities for new growth over 2017, while maintaining stewardship of our existing investments and client relationships. Amid both real and perceived market volatility over the year, we were well-positioned to seize market opportunities, and we did.” The CEO also highlighted the success of KAMCO funds in light of their outperformance over the year. The KAMCO Investment Fund (KIF), which invests in select companies listed on Boursa Kuwait was classified as the GCC’s top performing equity fund based on YTD returns, outperforming benchmarks at 21.4 percent YTD as of 31 December 2017. Additionally, KAMCO’s GCC Opportunistic Fund outperformed the S&P GCC Composite benchmark with a return of 5.9 percent vs. -0.5 percent (as of Dec 31, 2017). The Firm has also achieved a strong track record of 96 successful investment banking transactions worth around $15.2 billion since inception, with three debt capital market transactions amounting to around $1 billion during 2017. Discussing KAMCO’s strategic direction, the CEO described KAMCO’s role as being a “firm hand in the regional and international markets with strategically executed investment banking activities that should pave the way for KAMCO’s name to be amongst the major regional and international leagues.” He also expects KAMCO’s asset management services are expected to continue growing as the Company sets its sights on increasing market share regionally. 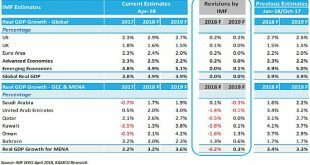 In a summary of expectations for 2018, the CEO assessed current market dynamics, stating “We expect global economic growth rates to moderate with the anticipation of additional rate hikes over the year, making it more costly for corporates to raise additional capital. The more cautious approach from investors has created a narrowing of yield spreads, and we assess this as a signal that good news may have already been factored in the current run up in markets. We will be monitoring changes in key global centers — tax reforms in the US, economic stability in Europe, commodity markets’ revival, and emerging markets run up — all of which point towards a positive trend in the near term.” Sarkhou added, “Regionally, investment will be shaped largely by indirect and direct activity surrounding the oil sector and shifting energy dynamics and the projects market. Although oil production remains volatile due to reductions in supplies, oil prices are up to their highest levels in 30 months, and demand for oil continues to be on the rise in the US and Europe, particularly driven by the transport sector. 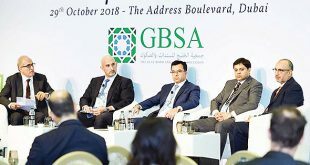 We see that the policy landscape in the GCC is in a crucial time of transition on the fiscal and spending front, particularly with the roll-out of VAT in all Gulf countries.” He also said, “Public and private sector project activity is anticipated to drive economic growth rates in the region included investments in human capital development. Listed companies in the GCC continue to view corporate earnings as an indicator of the robust projects market, supported by strong balance sheets and fundamentals for banks and companies in core investment sectors.” Sarkhou emphasized that KAMCO will continue offering a wide range of investment banking services in equity, debt, and advisory against the backdrop of an improving operating environment in which regulators persist with reforms taking on higher standards of corporate governance and transparency within the debt market. The AGM rounded off with an outline of KAMCO’s strategic direction moving forward. 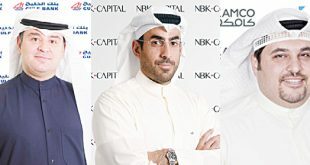 Executive management, shareholders, and directors reiterated commitment to KAMCO’s vision to be the leading asset management, wealth management, and investment banking provider in the region. For more info. : KAMCO’s 2017 Annual Report is accessible on their website.